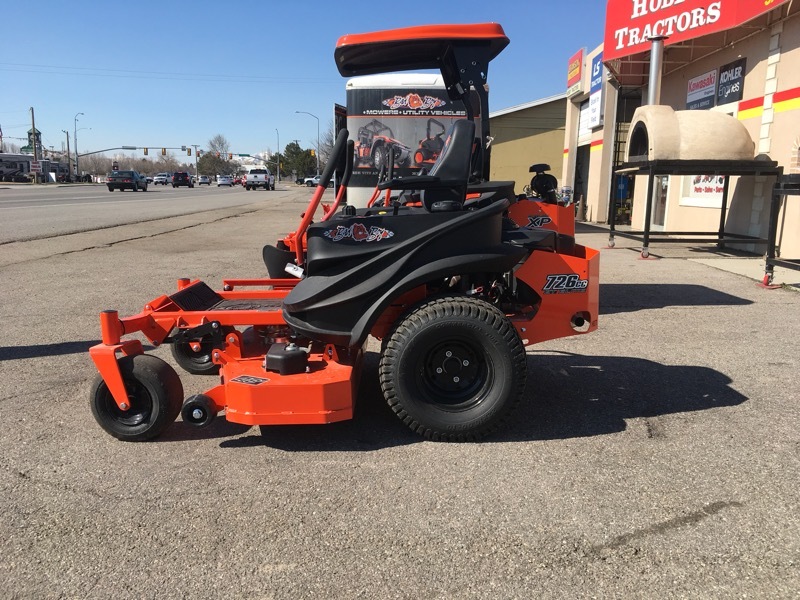 2019 Bad Boy Mowers ZT Elite 48 in"
Visit Hobby Tractors & Equipment online at www.hobbytractors.com to see more pictures of Equipment or call us at 801-785-8605 today to schedule your test drive. Hobby Tractors reserves the right to change the stated specifications without notice. This material is for descriptive purposes only and reasonable efforts were used to set forth the contained information; some items shown may be optional and some products shown may not be available at Hobby Tractors. Hobby Tractors disclaims all representations and warranties, express or implied, or any liability from the use of this material. For complete warranty, safety and product information, consult your local tractor dealer and the operator's manual. Power (HP/KW) and other specifications are based on various standards or recommended practices. For your safety, Hobby Tractors strongly recommends the use of a Rollover Protective Structure (ROPS) and seat belt in almost all applications. We reserve the right with the website with omission and errors to pricing. Message: Thought you might be interested in this 2019 Bad Boy Mowers ZT Elite.